Key concepts are reinforced with quizzes and over 75 practice problems. You’ll also get over 70 sample source code files to use or adapt. 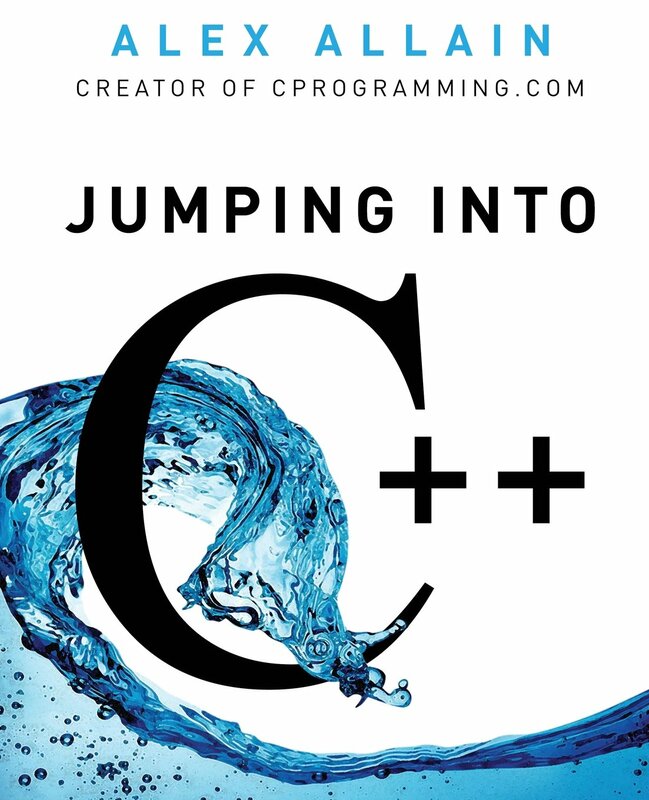 The Jumping into C++ ebook is backed by a 60 day money back guarantee and is available in PDF format for you to download instantly. Alex Allain is a professional C++ software developer and was twice recognized as one of the top Teaching Fellows in Harvard’s School of Engineering and Applied Sciences. He helped teach both of Harvard’s first two introductory computer science courses, focusing on C, C++ and Scheme. He is also the creator of Cprogramming.com, where his tutorials on C and C++ have helped millions of new programmers.